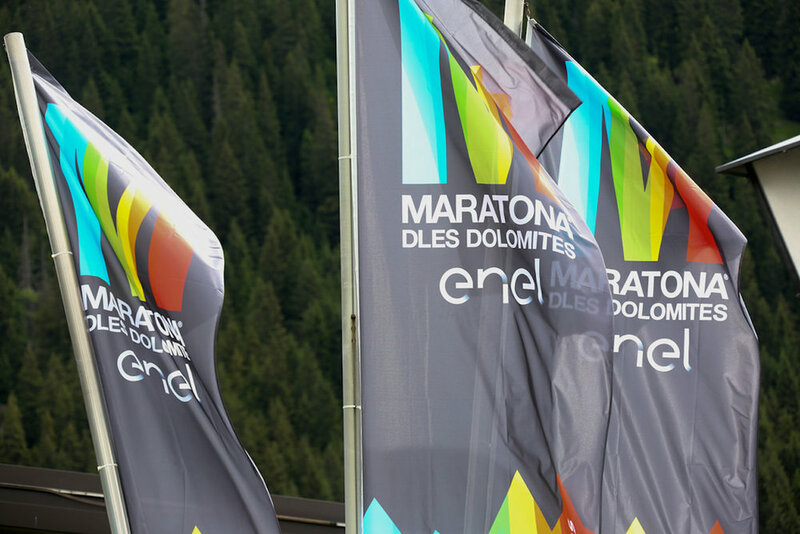 The Maratona Dolomites needs no introduction. Undoubtedly in our opinion the best Gran Fondo in Italy. The Dolomites are rightly considered to be the Holy Grail for European cyclists. With spectacular views and closed roads for the whole course, cyclists have for the past 30 years flocked to the Martona Dolomites. More than any other Gran Fondo in Italy, the Maratona has a truly international feel. Last year over 9000 cyclists took part in a race blessed with beautiful sunshine. The Maratona does however offer challenges off the bike as well as on it. Even the most travelled cyclists can be left a little perplexed by the entry process and finding the right hotel, mechanics and not to mention car hire can all add unnecessary stress. We offer hassle free assistance from private airport transfers to a full team in place in Corvara to assist you both on and off the bike. We are finalising a detailed itinerary for this tour. Details will be here shortly. If you are interested, and want to be sent details when available, just click below and as soon as we have further details we’ll send them straight to you!